T-Mobile US awarded a $3.5 billion contract to Nokia for the deployment of its nationwide 5G network. Specifically, Nokia will help build T-Mobile's nationwide 5G network with 600 MHz and 28 GHz millimeter wave 5G capabilities compliant with 3GPP 5G New Radio (NR) standards. The agreement covers Nokia's end-to-end 5G technology, software and services portfolio. This includes Nokia's AirScale radio platforms and cloud-native core, AirFrame hardware, CloudBand software, SON and 5G Acceleration Services. "We are all in on 5G," said Neville Ray, Chief Technology Officer at T-Mobile. 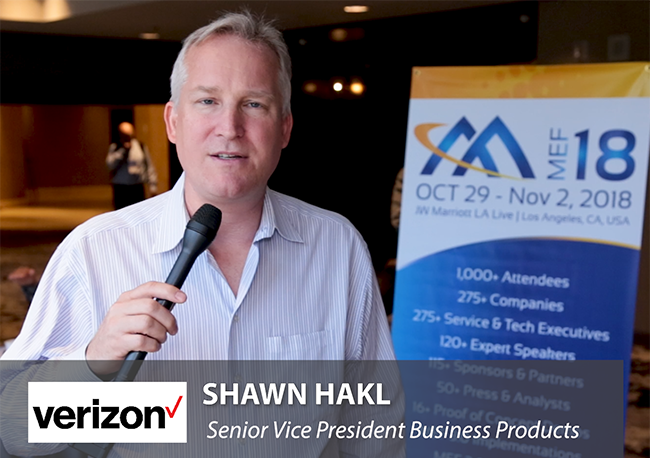 "Every dollar we spend is a 5G dollar, and our agreement with Nokia underscores the kind of investment we're making to bring customers a mobile, nationwide 5G network. And together with Sprint, we'll be able to do So. Much. More." "Nokia and T-Mobile will advance the large-scale deployment of 5G services throughout the United States," said Ashish Chowdhary, Chief Customer Operations Officer, Nokia. "This is a testament to our companies' strong and productive working relationship, one which has produced several important technological milestones in recent months, and which now allows us to make 5G a commercial reality." Regarding its financial outlook, Nokia said the AirScale radio platforms and cloud-native core, AirFrame hardware, CloudBand software, SON and 5G Acceleration Services in this contract were included in the guidance issued in the Nokia Financial Report for Q2 and Half Year 2018 as stated on July 26, 2018. 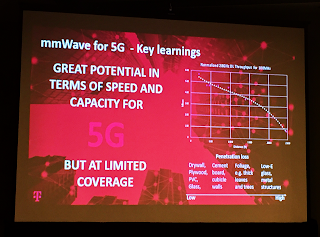 "5G is AWESOME" -- that's the message delivered emphatically by Egil Gronstad, Senior Director of Technology Development and Strategy for T-Mobile USA, speaking to a mostly academic audience at the 2018 IEEE 1st 5G World Forum (5GWF’18) in Santa Clara, California this week. 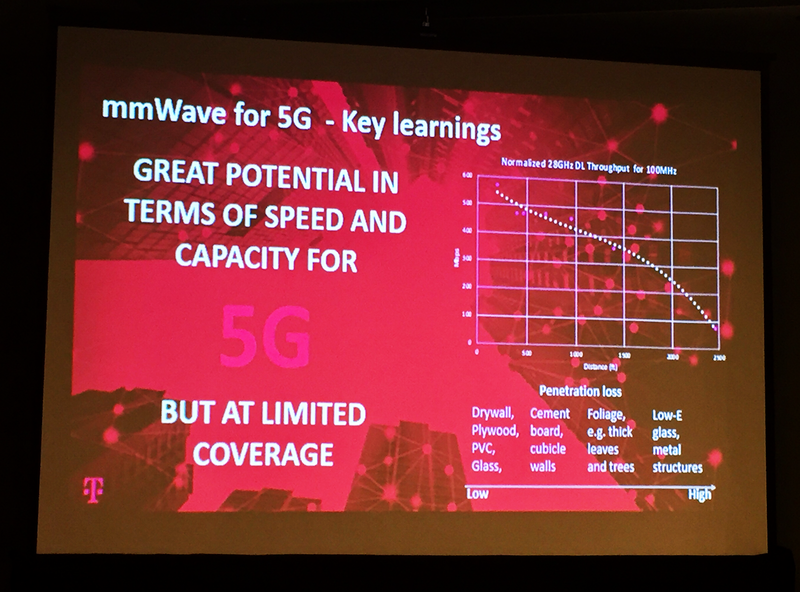 The main takeaway from his half-hour presentation: 5G is happening now at T-Mobile USA. The rollout is real and is proceeding if for no other reason than higher performance, which is always desirable in networking. T-Mobile's 5G commercial rollout begins this year in 30 cities and will be fully nationwide within 2.5 years. 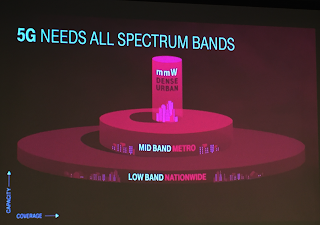 T-Mobile will deploy its 5G RAN using both 600MHz and 28GHz millimeter wave spectrum. Previously, Nokia confirmed that its equipment has been selected for the initial rollout. Voice needs to ride on the 5G network as soon as possible. In the transition to 4G, it was a mistake for voice to continue on the 3G for so long. 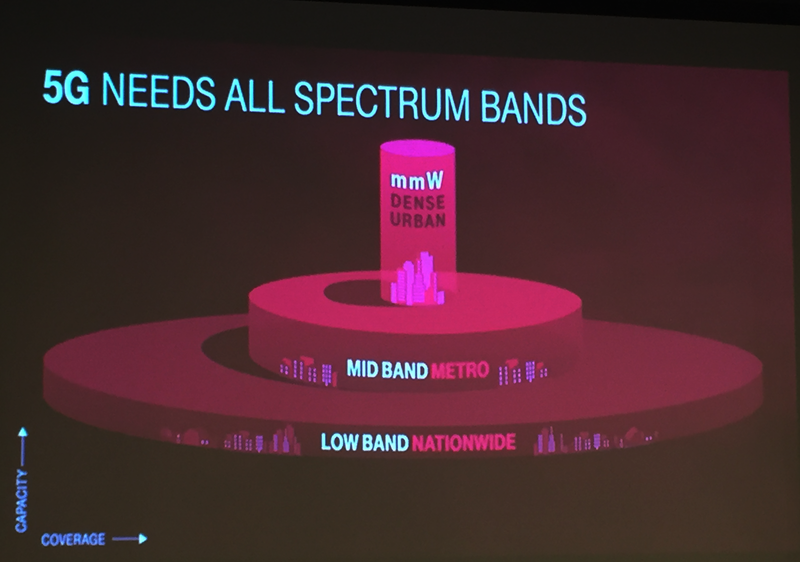 T-Mobile USA has no current plans for 5G fixed wireless service but is looking very closely at the business case. 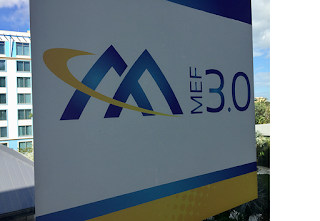 MEF is launching an SDN/NFV Professional Certification program. 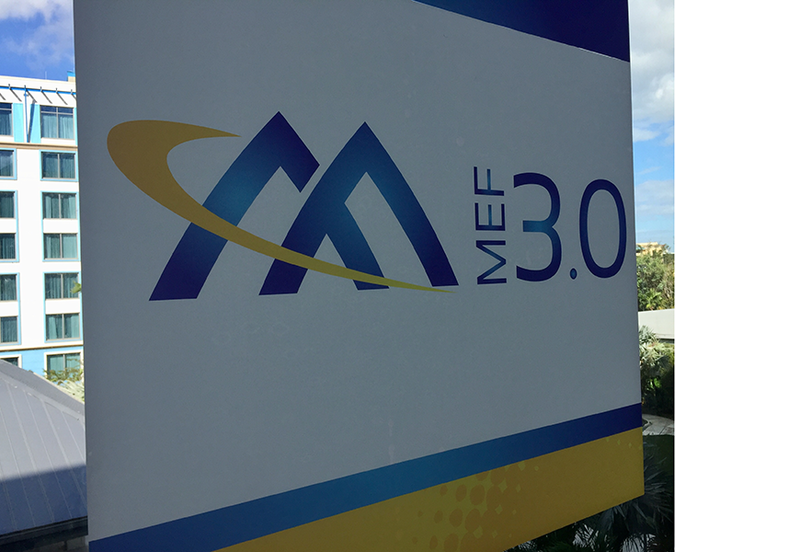 Nearly 6,000 people have completed MEF's Carrier Ethernet certification. A Network Foundations certification was recently introduced. This new SDN/NFV certification builds on this base. 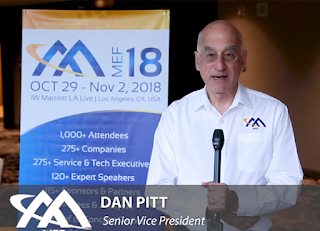 Dan Pitt, SVP at MEF, introduces the professional certification program. Altice Europe will sell off its communications tower business in the Dominican Republic to Phoenix Tower International, a portfolio company of Blackstone, for US$170 million. The deal covers 1,049 sites currently operated by Altice Dominicana. 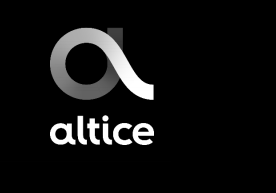 In addition, Altice Dominicana will enter into a 20-year master agreement to lease back the facilities. Altice Europe will sell off equity stakes in its tower infrastructure business in France an Portugal for EUR 2.5 billion in cash. The idea is to form two tower companies offering passive infrastructure and equipment in France and Portugal. Services will be available to all mobile network operators. Altice France and PT Portugal will enter into 20-year master agreements with these new infrastructure companies. Altice said the deal will help it to reduce debt. Here is an outline of the plan. Altice France has entered into an exclusivity agreement with KKR for the sale of 49.99% of the equity in the to be formed tower company (“SFR TowerCo”) that will comprise the 10,198 sites currently operated by SFR. The envisaged transaction values SFR TowerCo at an enterprise value of €3.6 billion, representing a very attractive multiple of 18.0x 2017 pro forma EBITDA of €200 million. In addition, a build-to-suit agreement for 1,200 new sites between SFR and SFR TowerCo is expected to generate approximately €250 million in additional proceeds to SFR within the next 4 years. PT Portugal has reached an agreement with a Consortium including Morgan Stanley Infrastructure Partners and Horizon Equity Partners for the sale of 75% in the to be formed tower company (“Towers of Portugal” or “ToP”) that will comprise 2,961 sites currently operated by Altice Portugal. The transaction values Towers of Portugal at an enterprise value of €660 million, representing a highly attractive multiple of 18.9x 2017 pro forma EBITDA of €35 million. In addition, a build-to-suit agreement for 400 new sites between MEO and ToP is expected to generate approximately €60 million in additional proceeds to MEO within the next 4 years. ToP’s portfolio of towers, strategically located throughout Portugal, represents the single largest tower portfolio in the country. Altice founder Patrick Drahi said: “I am enthusiastic about creating new tower partnerships in France and Portugal. With KKR, Morgan Stanley Infrastructure Partners and Horizon Equity Partners, we have found long-term partners of the highest-quality who share our vision to invest in leading infrastructure and growth opportunities. We will create a leading European tower business, including the #1 in France. Both tower businesses will be uniquely positioned to grow as they provide increasingly important infrastructure services to operators in both markets. Simultaneously, these transactions underline our commitment to delever and proactively manage our balance sheet while highlighting the significant underlying value of Altice Europe’s business." TE Connectivity (TE) introduced its next-generation, 0.8mm free height board-to-board connectors designed for higher-speed, mezzanine board systems. 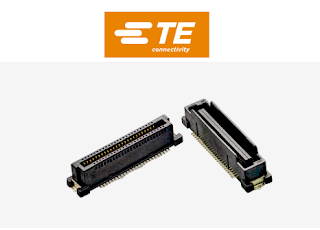 The company says its mezzanine connectors are capable of delivering 25 Gbps and higher signals for supporing PAM4 and PCIe Gen 5 architectures. The new free height connectors are also said to deliver higher reliability through a stronger plug/receptacle mechanical design, maintaining the same performance when de-mated up to 0.5mm. In addition, modular tooling enables 1mm stack height increments and flexible pin counts. Serverless, a start-up based in San Francisco, announced $10 million in Series A funding for its open source Serverless Framework. The company's mission is to provide a single toolkit offering everything teams and enterprises need to operationalize serverless deployments. The company said it takes a vendor-agnostic approach across major platforms and cloud providers such as AWS, Azure, Google Cloud Functions, Kubernetes, etc. The funding was led by Lightspeed Venture Partners with additional participation by Trinity Ventures. Telefónica will sell a 9.99% equity stake in Telxius, its infrastructure arm, to Pontegadea for a total of 378.8 million euros. This transaction represents a price of 15.2 euro per share of Telxius. Telefónica said the deal incorporates a long-term partner in a holding company that controls its infrastructure arm. The sale has been structured via Telefónica’s subsidiary, Pontel Participaciones, which owns 60% of Telxius’ capital stock. Pontegadea owns 16.65% of Pontel and Telefónica the remaining 83.35%. After the transaction, Telefónica will maintain a majority stake and retain operational control of Telxius. Telxius, Telefónica's infrastructure arm, was established in February 2016. It owns and operates a portfolio comprising nearly 16,300 telecom towers in five countries and manages an international network with around 65,000 km of submarine optical cable, including around 31,000 km owned by Telxius. The Telxius-owned network includes SAM-1 linking the U.S., Central and South America, PCCS (Pacific Caribbean Cable System) and Unisur, which connects Uruguay and Argentina. It also took over Telefónica's share in older subsea consortium cables, including Columbus III, Atlantis II, and FLAG. Telxius has two new subsea cables that are expected to enter commercial service shortly: BRUSA, linking Brazil, Puerto Rico and the U.S., and MAREA linking the U.S. and Europe in partnership with Google and Facebook. The two projects bring enormous East-West and North-South capacity to the Atlantic. More about these projects below. It was just over a year ago that Telefónica announced it has reached an agreement with global investment firm KKR Group for the sale of up to a 40% stake of Telxius Telecom, its global telecommunications infrastructure company, for a total of Euro 1,275 million, or Euro 12.75 per share. The deal with KKR implied an enterprise value of Euro 3,678 million for Telxius, or 11.4 times its 2017 EBITDA. Telefónica's original plan was to seek a public listing for Telxius as an independent company. An attempted initial public offering was announced in September 2016 but subsequently withdrawn in November. In terms of valuation, the deal with KKR was fairly close to the earlier aspirations for a public listing. KKR is a private equity firm specializing in infrastructure opportunities. As of the end of 2017, KKR had $168 billion of assets under its management. 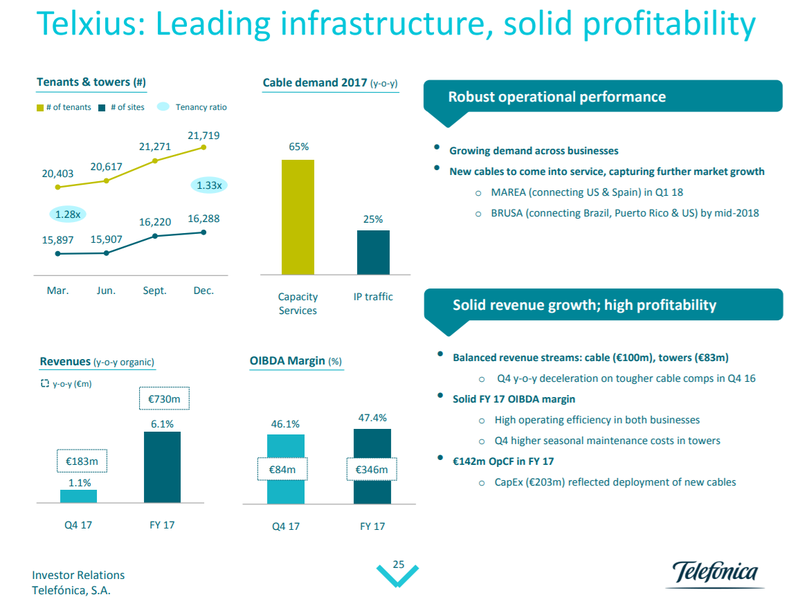 From what we gather, the Telxius shared infrastructure business is doing well. Construction of the highest-capacity subsea cable to cross the Atlantic was officially completed in September 2017. The 6,600 km MAREA subsea cable, which was jointly funded by Microsoft and Facebook, links Virginia Beach, Virginia to Bilbao, Spain. For these two Internet giants, the collaboration represents a significant change for the subsea cable industry, which previously funded major projects by establishing a consortium of telecom carriers, with bandwidth on the system subsequently divided between eight, ten or even more investing parties. MAREA is not only massive in comparison to the projects from just a decade ago, it also follows a more southerly transatlantic route, landing in Europe on the Iberian peninsula. For the American landing, the cable arrives hundreds of miles to the southern coast of Virginia, in proximity to new hyperscale data centre campuses being built by Microsoft and Facebook. The worldwide PON market will grow to over $7 billion by 2022, according to a newly published report by Dell’Oro Group, driven by next-generation PON technologies, including 10 Gbps EPON, XGS-PON, and NG-PON2. This represents a compounded annual growth rate of almost 40 percent from 2017 to 2022. FCC Chairman Ajit Pai today announced the appointment of Dr. Babette Boliek as chief economist for the Federal Communications Commission. She earned her doctorate in economics from the University of California, Davis, and her law degree from Columbia University School of Law. CoreSite Realty Corporation (NYSE:COR) announced the sale of 2,250,000 shares of its common stock by investment funds affiliated with The Carlyle Group to Citigroup and Credit Suisse Securities (USA) LLC, as the underwriters in connection with the offering. Share of COR closed at $113.03 on 30-July-2018, valuing the transaction at around $254 million. CoreSite noted that investment funds affiliated with The Carlyle Group will continue to hold an aggregate of 11,525,390 partnership units in CoreSite’s operating partnership that they may elect to redeem in whole or in part for cash or, at CoreSite’s option, CoreSite may elect to acquire those operating partnership units submitted for redemption in exchange for shares of its common stock on a one-for-one basis. If all such operating partnership units were tendered for redemption and CoreSite elected to acquire such units in exchange for shares of its common stock, investment funds affiliated with The Carlyle Group would own an aggregate of 23.9% of CoreSite’s issued and outstanding common stock. Cloudify, which specializes in IT operations automation technology, named Ariel Dan as its new CEO, replacing Zeev Bikowsky, who has been serving as Chief Executive Officer for nearly a decade. 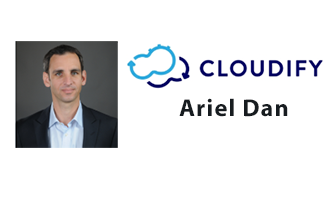 Prior to Cloudify, Ariel led two companies to M&A, and has extensive experience in building sustainable cloud & SaaS operations. While leading Cloudify, Bikowki was also the driving force behind establishing GigaSpaces. Cloudify is based in Herzliya, Israel and funded by Intel Capital, Claridge Israel, BRM Group, FTV Capital, and Formula Vision, as well as additional private investors.